With Gigabit speeds complaint with IEEE802.11ac, the TENDA AC6 smart dual-band WiFi router offers throughput as high as 1167Mbps.Powered with the latest features including beamforming+ technology and the innovative MU-MIMO, that's just the start. With the 28nm CPU, independent power amplifiers, four 5dBi high-gain antennas, you are assured to have an uninterrupted gaming experience and 4K video streaming. AC6 has great eco credentials too. With a power saving function, App-based management and migration of PPPoE user credentials allows for a smarter and eco-friendly digital life. With Gigabit speeds complaint with IEEE802.11ac, the TENDA AC6 smart dual-band WiFi router offers throughput as high as 1167Mbps. Powered with the latest features including beamforming+ technology and the innovative MU-MIMO, that's just the start. With the 28nm CPU, independent power amplifiers, four 5dBi high-gain antennas, you are assured to have an uninterrupted gaming experience and 4K video streaming. AC6 has great eco credentials too. With a power saving function, App-based management and migration of PPPoE user credentials allows for a smarter and eco-friendly digital life. Compliant with IEEE802.11ac, AC6 offers a data rate as high as of 1167Mbps (5GHz: 867Mbps + 2.4 GHz: 300Mbps), triple times faster than 11n-compliant routers. Its fast and stable performance makes it the ideal choice for lag-free HD streaming, online gaming and other bandwidth-intensive tasks. With four 5 dBi high-gain antennas that powered by the multi-oscillator radiation technology, AC6 blankets you home with reliable WiFi. 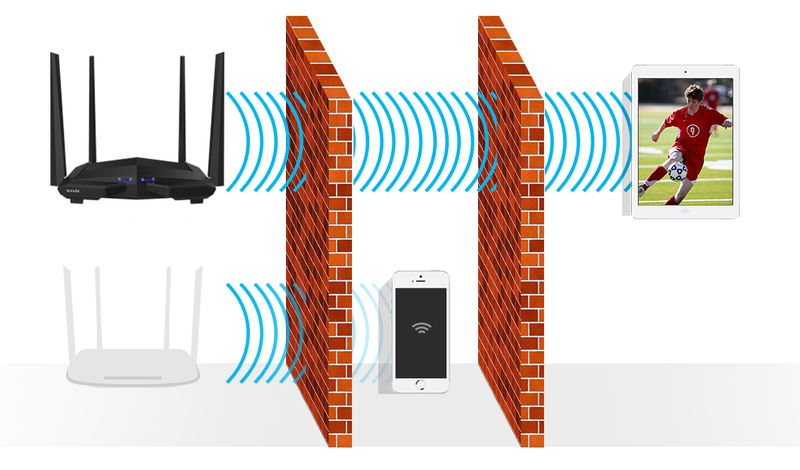 With the high-powered amplifiers for WiFi on both 2.4GHz and 5GHz bands, AC6 delivers a stronger signal through walls, allowing you to enjoy uninterrupted connection in every corner of your home. With 28nm CPU, AC6 allows you to enjoy a fast and stable connection throughout your home. Beamforming+ technology enables AC6 to lock on to your WiFi receiving clients rather than blast WiFi in all directions, and mitigates co-channel interference, letting you enjoy fast internet connection. What if you forget your PPPoE user name or password when replacing your older router? Are you still troubled by complicated setup and configurations? 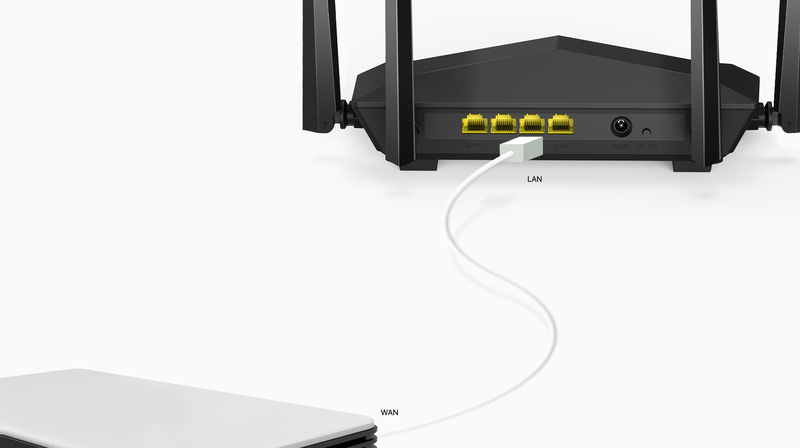 AC6 allows you to replicate the user name and password provided by your ISP by connecting the WAN port of your old router to the LAN port of AC6, letting you go from laborious configurations.